a capital wasteland: Fun with Canada's provincial flags! With some notable exceptions, U.S. state flags are a drab bunch. Our neighbors to the north, however, are a different story. 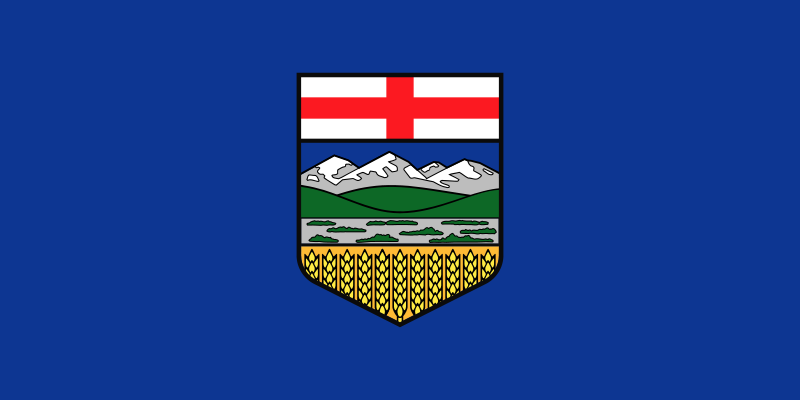 While some Canadian provincial flags are too busy for their own good, they're almost all distinctive and exciting. In the United States, only one state (Maryland) has a flag based on British heraldry. Canada, on the other hand, is chock-full of heraldic-yet-fun! flags. Let's take a gander. 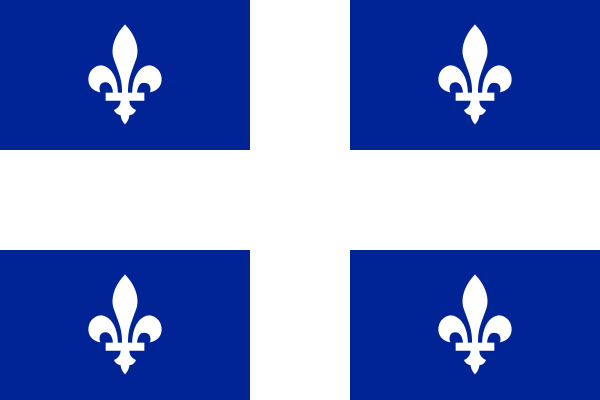 Québec has by far the most famous flag of any province. 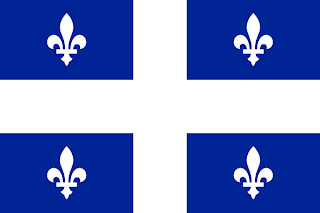 Their Fleurdelisé is Canada's equivalent of Texas' Lone Star flag: many Quebecers fly the Fleurdelisé more prominently than the Canadian national flag. In a bilingual country, it's as much a statement of French Canadian identity as it is a provincial symbol. 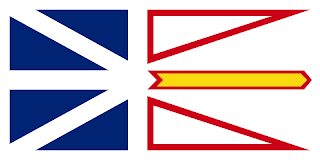 New Brunswick has my personal favorite provincial flag. Yes, it's a little (or much) too complex, but I love it anyway. How can you not? It's got my favorite sort of ship on it, a Scottish lymphad! It stands for one of New Brunswick's most important industries, shipbuilding. The gold lion above represents the province's connection to the Brunswick region of Germany. 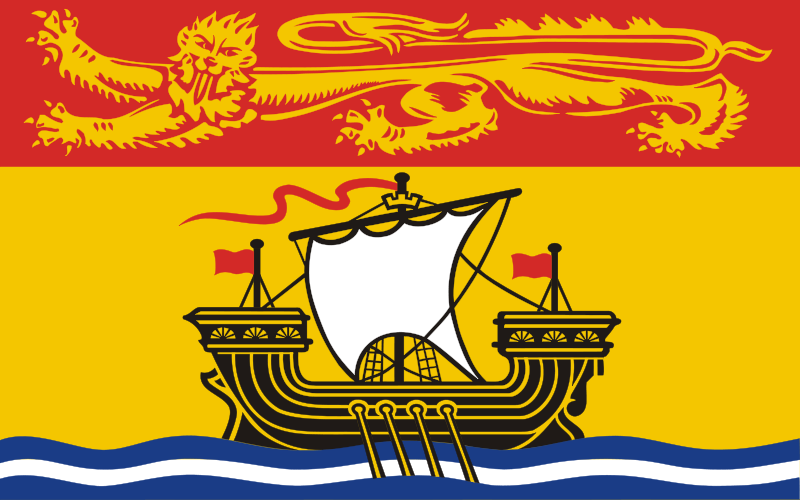 Adopted in 1858, Nova Scotia has the only provincial flag from before the twentieth century. It's a simple color swap of Scotland's Saint Andrew's Cross, to represent the province's history as a Scottish colony (yes, Scotland had colonies of its own!). 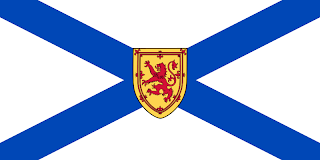 The Lion Rampant in the center is a bit redundant, since it also represents Scotland; it's only there to differentiate Nova Scotia's flag from the naval ensign of Russia. Still, it's a classy flag. 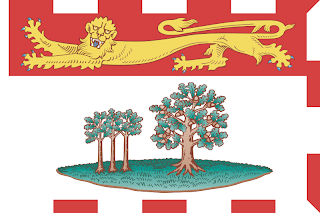 Prince Edward Island has an even more medieval-looking flag than New Brunswick does! It's got that Middle Ages art style, with the slightly faded colors and alternating band around three sides for good measure. The lion above stands for the province's namesake King Edward VII, and the trees represent the three counties of PEI (the saplings on the left) under the protection of Great Britain (the larger oak tree on the right). Monarchist indeed. A fittingly two-part flag for a two-part province, Newfoundland and Labrador. The blue half on the left is a reference to the British Union Jack. The two red triangles on the right represent the two regions of the province. The gold arrow is a tribute to the province's military sacrifices, and together with the triangles forms a trident to represent the province's fishing industry. British Columbia has another "lovably overcomplicated" flag. 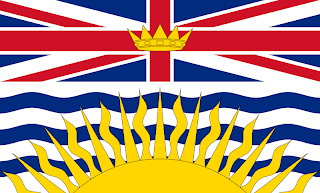 The Union Jack with a crown in the middle represents British colonialism, and the setting sun over the ocean represents the province's location on the west coast. What makes this flag especially goofy is that instead of placing the Union Jack in the canton like other provinces and countries, it's stretched across the entire top half of the flag for strange elongated proportions. It's like this is two flags smashed atop one another into one. I love it. 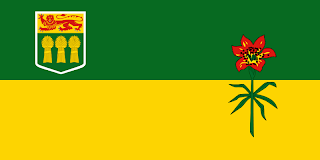 Saskatchewan, the only flag in the country not to feature the color blue! The great green color on the top half represents northern Saskatchewan's forests, and the gold below represents southern Saskatchewan's farmland. The long proportions of this flag give the two colors greater effect. The state flower, the western red lily, sits on the right side of the flag, while the provincial coat of arms sits in the canton. 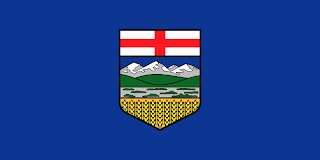 Alberta has the closest flag to those of most U.S. states with the boring "blue background + state seal" formula. But it stands above most of those U.S. flags because of its brighter colors and simplified design. The hatched wheat symbol is a nice touch. 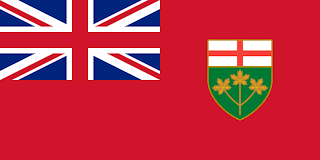 Canada's most populous province, Ontario, features a flag created as royalist protest. 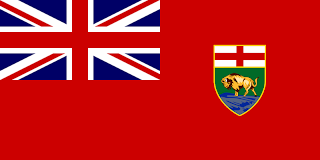 The Canadian Red Ensign served as Canada's national flag until the current Maple Leaf flag was adopted in 1965 to rid the country of its colonial past. Many conservative Ontarians hated the Maple Leaf flag, believing it disrespects the country's rich British cultural history. 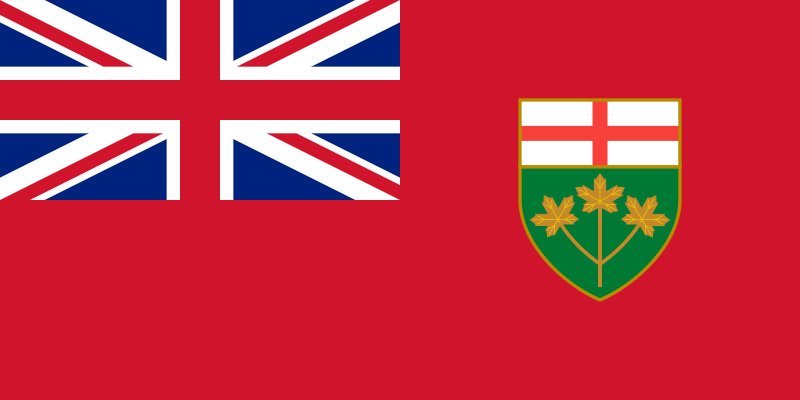 So Ontario adopted this flag, which is essentially the Canadian Red Ensign with the Ontario coat of arms on it. Manitoba did the exact same thing. 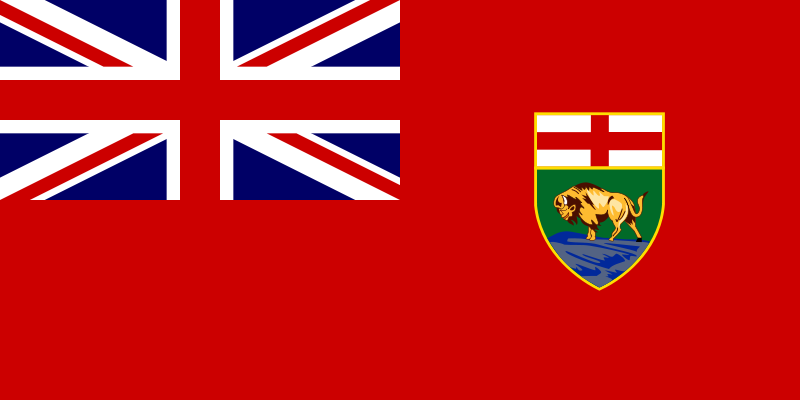 The bison in the coat of arms serves as a melancholy hint of the awesome flag Manitoba could have if they decided to get a little more progressive. For completion's sake, let's look at Canada's territorial flags as well. This is my favorite of the three, the flag of Nunavut. 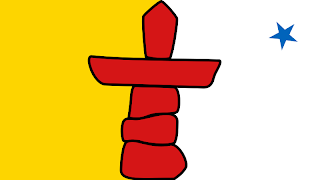 It features a red inuksuk, a symbol of the Inuit people, along with a blue North Star in the top right corner. The halved gold and white colors look great, but for some reason remind me of the Vatican flag. Probably unintentional. 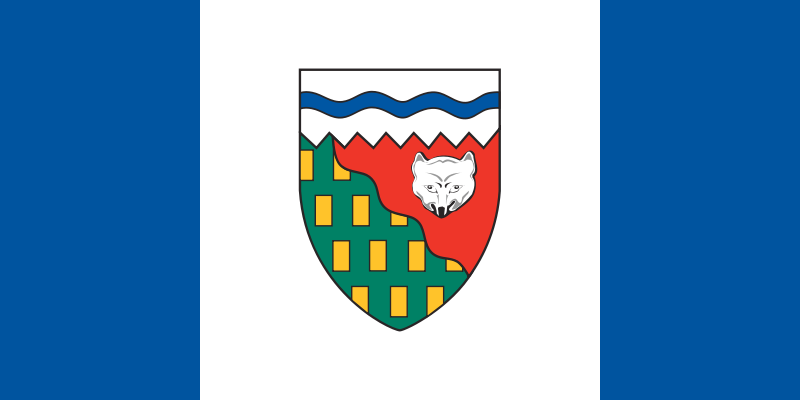 The Northwest Territories sport a flag with a fun coat of arms. The white and red represent the snow, ice, and water, and the wavy line in the shield represents the Northwest Passage. The green segment represents the forests south of the tree line, and the red segment represents the tundra north of the tree line. The gold rectangles represent the territories' minerals, and the fox head represents the fur trade. 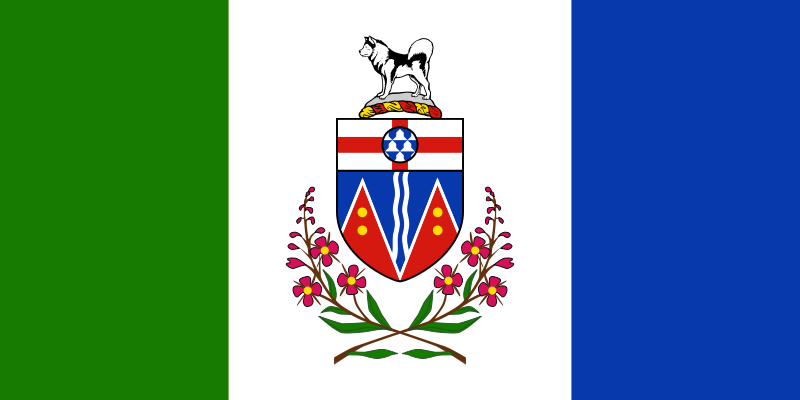 The Yukon flag features all sorts of symbolism. The territorial coat of arms sits above a wreath of fireweed, the floral emblem of Yukon. The tricolor striping has green for forests, white for snow, and blue for water. Thanks, Jake! Great work. I learned a lot. 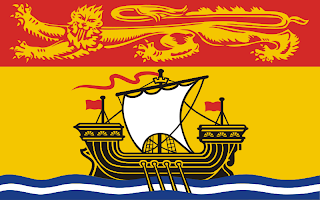 Pleased that the Haligonians had the good sense to add a rampant lion to their flag. Perhaps it was all the Moscovite seafarers stacking up in Halifax Harbour? New Brunswick is my fave followed by Nunavut. However, I wonder if the Inukshuk has become more of a cliche than a cultural icon. It may look a little twee in 10 or 20 years. Alas, though Cdn prov flags are good, none are quite as good as the nifty Arizona flag. 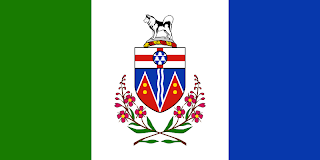 I like the green/white/blue stripes of the Yukon. Nice idea. And, not one reference to ice hockey! wonderful details in short summary.we're one of the largest distributors of wholesale flags.